Building mobile apps is a great way to set your own hours and make money while doing it. For many entrepreneurs however, this does not seem like a viable option because they think it requires specialized knowledge and intricate password policies. Thanks to some helpful websites, those people are wrong. There are now websites and software to help make building mobile apps as simple as possible. If you are an entrepreneur skilled in code, or even if you are not, here are some of the top programs for building mobile apps, so you can make money working in pajamas from your bed. There are many different reasons business owners want mobile apps developed for their business. That is why app development is such a lucrative endeavor, especially since you no longer have to look for online coding classes to learn how to do it. If you are looking to build mobile apps for business in particular, traditionally business owners have similar purposes in mind for their applications. Many times, business owners build apps to add value for customers. Another reason they use mobile apps is to build a stronger brand for their company or to better connect with their customers. If you can keep these app purposes in mind, you will be able to build an app that delivers exactly what they business owners want. That means more money and success for you. 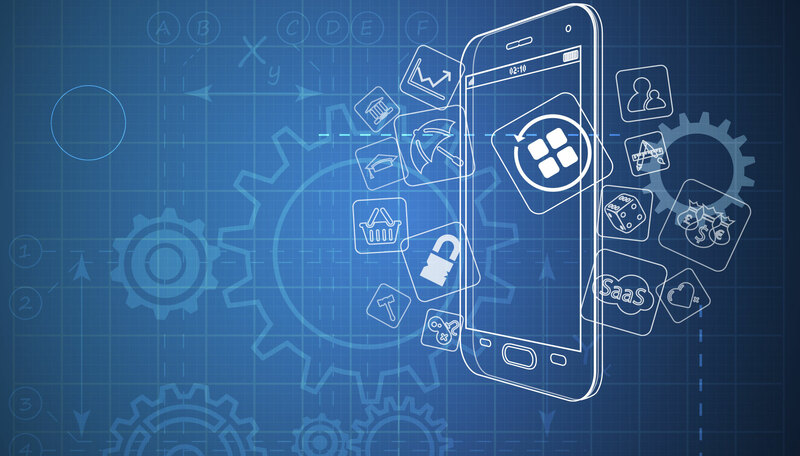 BuildFire is a great platform for building mobile apps with ease. This company offers you the ability to build your mobile app entirely free of charge. You will only have to pay if and when you decide to go live with your app. They also provide templates for those of you that are less knowledgeable when it comes to coding. However, if you are very skilled in the field, you will be able to completely customize the app and build it however you choose. Prices start at just $19/month for the most basic package. This package unfortunately does not include the ability to publish iPhone capable apps or accept payment for an in-app ad campaign. For a bit more, $59/month total, you can have access to this feature. If you want to try building mobile apps before deciding whether you want to shell out the money to go live with them, BuildFire is the way to go. AppPress is another excellent option for building mobile apps, especially if you are not an experienced coder. AppPress offers anyone the ability to create an application with zero coding necessary. This company will provide you with a creative and technical team to help make your vision a reality. This tool is one that is frequently used by those who want to know how to start an online clothing store. Building mobile apps is simple with AppPress, and publishing them to the Google Play Store or Apple App Marketplace is just as easy as clicking a button. You can even manage your apps after they go live, right from the same dashboard you used to create them. Having all these capabilities in one place is extremely beneficial, especially for busy entrepreneurs like yourself. If you have zero knowledge of coding but are intrigued by the idea of building mobile apps for income, check out AppPress. You will not be disappointed. The final platform for building mobile apps that you should definitely have a look at is called iBuildApp. iBuildApp offers thousands of templates for a no-coding app building experience. Just like with AppPress, building mobile apps and publishing them to Google and Apple marketplaces is as simple as drag, drop and click. So if you are totally in the dark when it comes to app development and coding, iBuildApp is a great solution for you. This company has some considerable advantages over the competition, as well. Not only can you build and publish mobile apps, you can also make use of promotional tools they offer, like embedded links and qr codes. This interface also provides you insight to app analytics data and allows you to make money from ad revenue in one single click. If you are considering building mobile apps to make some extra money but have zero coding ability, iBuildApp is a perfect solution. No matter whether you are using an app builder that requires zero coding knowledge or needs a skilled developer at the helm, like Web2Go, you need to remember to develop your goal and purpose before you start. You should not only care about what the app does technically. You want to know what you want the app to do for you. What is the purpose of the app? What are your goals for it? Answer these questions to get the most out of the above app development platforms. These three platforms offer entrepreneurs the opportunity to try building mobile apps as a means to make money with their own home based business, even without the ability to code. No matter what your skill level, you will be able to realize the app you have been dreaming of in no time at all. Try out the three sites mentioned above, and let us know what you think in the comments below. We would love to hear your experiences, good or bad.